At Intellect, we want to empower everyone to innovate and help you change the way you do business. 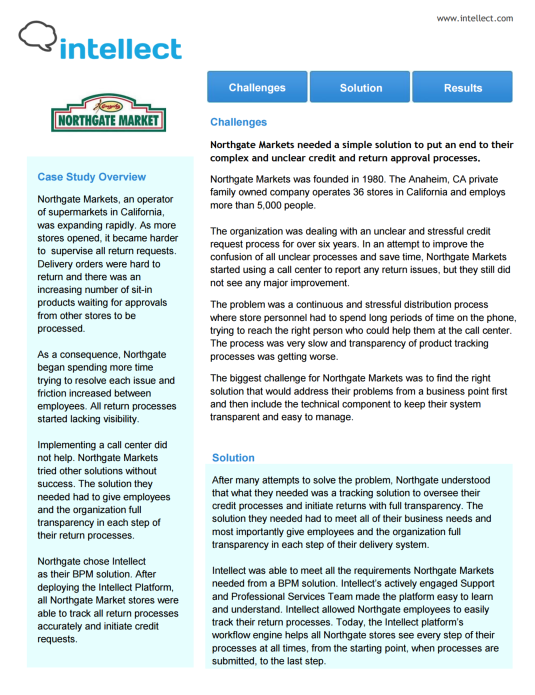 Download the Northgate Markets case study and learn about the company's decision to manage their credit and return approval processes using Intellect. Challenges Northgate Markets faced: Northgate Markets needed a simple solution to put an end to their complex and unclear credit and return approval processes.